Jonathan wrote to me today about his company, Nina's Pillow Designs. 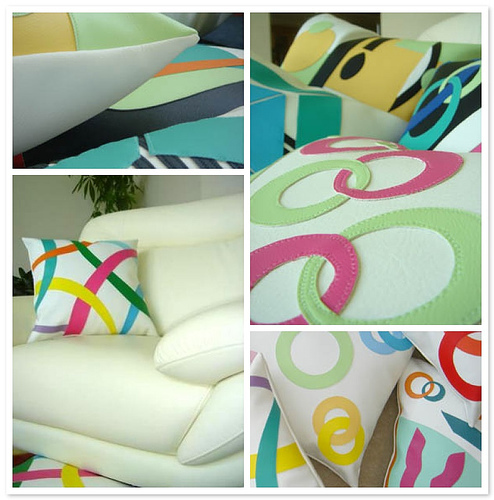 Based in Houston, they are a boutique designer, manufacturer, and seller of custom decorative pillows, some featuring hand-stitched leather-like vinyl details - fun! Here are a few designs that stood out for me. You can check Nina's Designs out via the web right here.